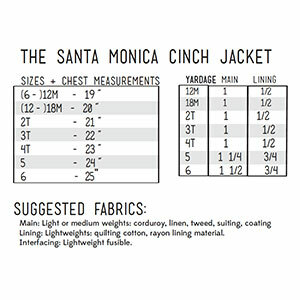 The Santa Monica Cinch is a lightweight jacket with a slightly loose fit. 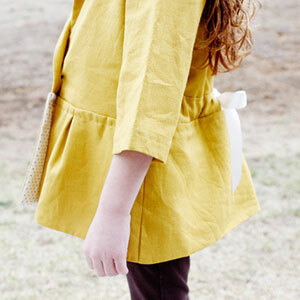 It features a ribbon cinch in the back and a fully lined bodice. 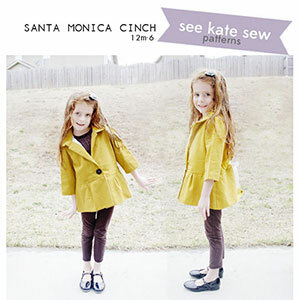 This pattern comes with sizes 12 months through 6 years. 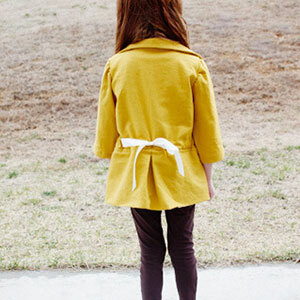 Suggested fabrics are light to mid weight fabrics such as corduroy, linen or tweed. For the lining use a light weight woven such as crepe de chine, rayon challis or peach skin.